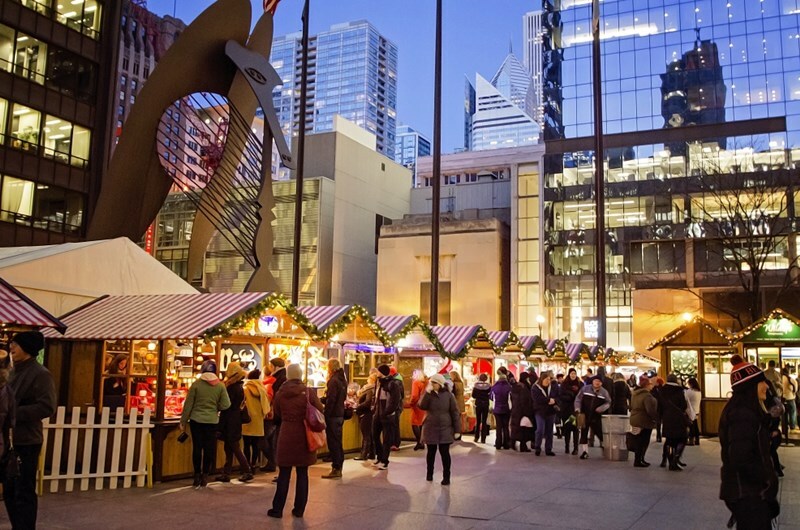 Christkindlmarket Chicago transforms Daley Plaza into a magical picturesque European Christmas village filled with candy cane striped wooden huts and twinkling lights that harkens back to the traditional holiday market in Nuremberg, Germany. Nearly 60 vendors boast one-of-a-kind offerings that are destined to become treasured gifts for loved ones of all ages. For more information, click here.